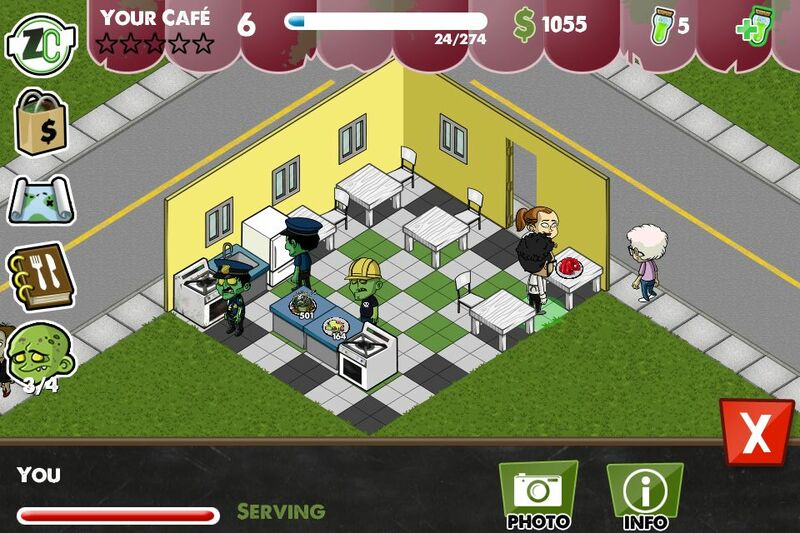 What a grand idea for a game, a cafe run by a human using zombie slaves. Sound like a safe plan to you, brain thirsty zombies rotting all over your food, sounds delicious. I downloaded this game because of my love of zombies and that Capcom has made some other OK apps for iOS. I’ve not gotten into the other games of this line like Cafe World, but I imagine they’re similar. 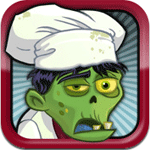 Make food, infect people turning them to zombies, use zombies for slave labor and to attack other restaurants nearby. I kind of want to see that aspect of the game put into practice in real life. Taco Bell raiding McDonalds and killing patrons and workers, could be interesting. Perhaps not, but could be. The game is fun to play, feeding people disgusting named foods, infecting patrons you want for your horde, the attacking. It’s an early version so the elements of the game will improve over time, it is a money maker though and I don’t like that much. Having to pay to get the bits that make the game progress and basically make it playable long term is not cool to me. 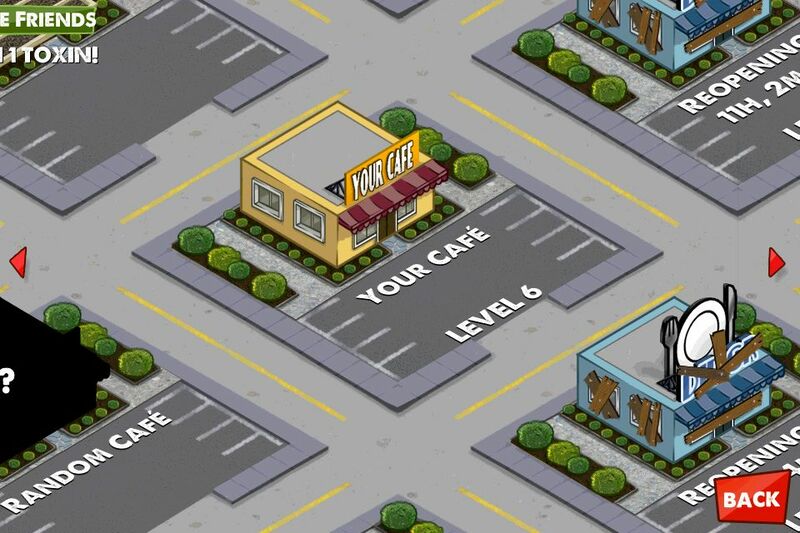 Overall I can say that Zombie Cafe is worth downloading for the fact that it is free, has zombies, and is fun. My girlfriend compares it to other cafe based girly games she is in love with and had a good time playing. So for those of you out there, this is in the same vein of game play. Just with zombies, gross food, and murder. I do not like the micro payment portion of the game though. Forcing you to buy credits to progress the game at a speed not comparable to a sloth with no legs is kind of crappy, but that’s how they make their money on the free game, and they do make a killing. 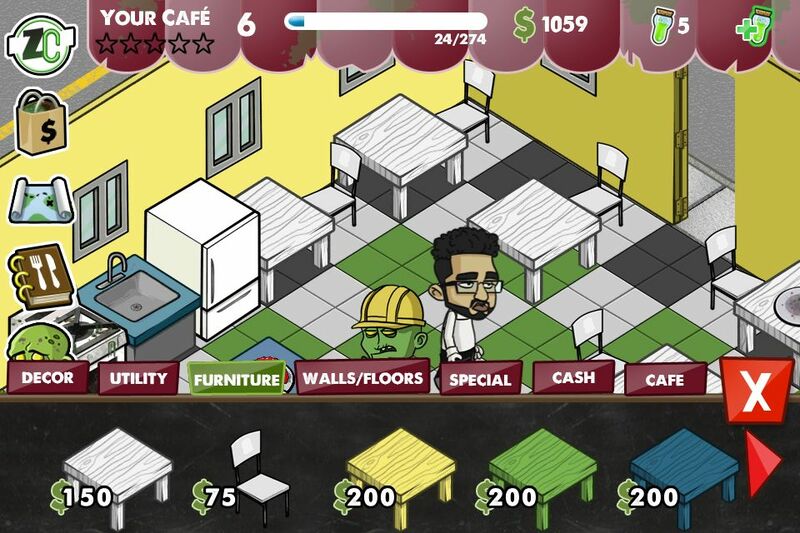 I deducted points from Zombie Cafe for the micro payment system but don’t let that stop you from testing out this game for free, you may enjoy it enough to spend some dough on it. I would suggest using your brain though, or else these zombies might get it.